Holidays has their own tough times on all of us. I am not saying that holidays put us in critical situations but take things maturely and think how these holidays make yourself busy all the time for everyone. Many of you across the world totally loses grip on your mood control, and get angry instead of being jolly on the Christmas holiday. However, this year we have decided to come up with a series of applications that will help you in maintaining your jolly side on this Christmas holiday event. Yes, iPhone Christmas apps collection is here for everyone to bring back the Christmas spirit. When you start getting bit down or feeling stressed due to work on Christmas holiday, it is best time to have some fun and laugher to get back on track with your work. 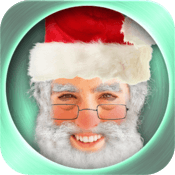 Santa Booth becomes an essential application for this Christmas holiday because it will help you in bringing bit laughter in your daily routine. Santa Booth can transform your photos into Santa Claus, and let you share them with friends over Facebook, Twitter and via email. It is available for $0.99 in the App Store, you can get it here. 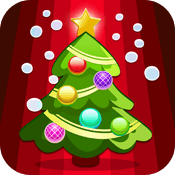 If you have liked the idea to paint some of your friend as Santa Claus already, then you must love to give a shot to decorating a tree on your iPhone. 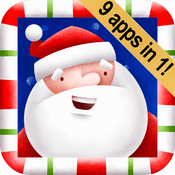 There are two reasons behind adding this application in this iPhone Christmas application list. The first reason is it is very interactive, and get you on track with Christmas. The other reason is it allows you to plan your tree decoration virtually using an iPhone. It is available for free in the App Store, you can get it here. Believe me or not! Shopping is an important part of every holiday events. One should spend lot of his / her time on shopping on such events. 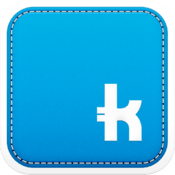 While we have a long list of applications and services that let you shop online, we came across to shopkick that is another perfect application to make your Christmas holiday shopping from your iPhone. It is available for free in the App Store, you can get it here. There is not an event if you don’t send cards to your loving ones. Christmas is one of those events of the year, when people love to send and receive greetings from their families, friends, and the one who they love and care. 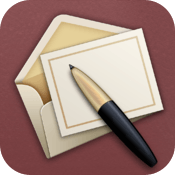 Cards is an application by Apple that let you design your own card, and order from Apple to deliver it on actual address. It is available for free in the App Store, you can get it here. While you are getting back on track with Christmas spirit with help of your iPhone. It is the best application bundle you can see on Christmas. It offers you a plenty of different applications and services that let you attract children around you. You can track Santa Claus with this application as it syncs with several top-notch services. It is available for $0.99 in the App Store, you can get it here.